We have looked for a supplier with the utmost care for the best quality meditation cushions. A good meditation cushion meets the following requirements: it must be made of a solid fabric; it must have an inner cover and a zipper in the outer cover so that it can be washed; it must be filled with buckwheat chaff, a material that can be well formed, but then offers a great stability. In addition to these requirements, we offer this best quality in many colors whether or not they have a print or embroidery to make them look nice. 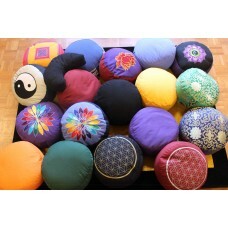 As a final point we offer them for a low price per piece and even lower for 2 meditation cushions or more. 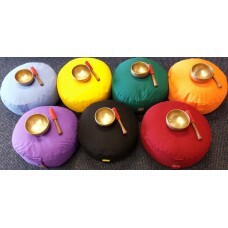 Are you looking for 5 or more meditation cushions click here. Shipping is in 99% of the cases the same day if ordered on weekdays before 4.30 pm. Meditation cushion, Purple Size: 33 x 17 cm Our meditation cushions are of very good quali.. 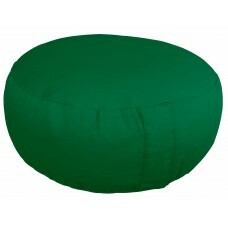 Meditation cushion, Green Size: 33 x 17 cm Our meditation cushions are of very good qualit.. 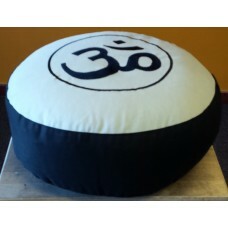 Meditation cushion, Black Size: 33 x 17 cm Our meditation cushions are of very good qualit.. 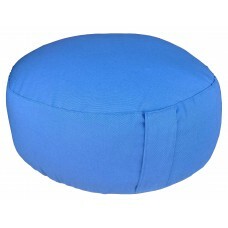 Meditation cushion Blue Size: 33 x 17 cmOur meditation cushions are of very good quality.Each c.. 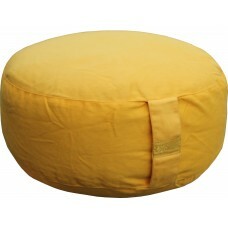 Meditation cushion, Yellow Size: 33 x 17 cm Our meditation cushions are of very good quali.. Meditation cushion, Orange Size: 33 x 17 cm Our meditation cushions are of very good quali.. Meditation cushion, Elephant - blue Size: 33 x 17 cm Our meditation cushions are of very g.. Meditation cushion, Lotus - purple / red Size: 33 x 17 cm Our meditation cushions are of v.. Meditation cushion, Color Flower - purple Size: 33 x 17 cm Our meditation cushions are of .. Meditation cushion, Flower of Life - red / silver Size: 33 x 17 cm Our meditation cushions.. Meditation cushion, Flower of Life - black / gold Size: 33 x 17 cm Our meditation cushions.. Meditation cushion, Yin Yang Size: 33 x 17 cm Our meditation cushions are of very good qua.. Meditation cushion, Lotus with Ohm Size: 33 x 17 cm Our meditation cushions are of very go.. Meditation cushion, Red / Yellow Size: 33 x 17 cm Our meditation cushions are of very good.. Meditation cushion, Half Moon - black Size: 33 x 13 cm Our meditation cushions are of very..